Dr. Jutta Marquardt was born and bred in Germany. She studied medicine at Julius-Maximilians-University, Wuerzburg, Germany and received her Medical License and her Doctorate in December 1979, finishing all her qualifications with the highest marks. Dr. Marquardt went on with her education as a specialist for neurology at the Neurological University Clinic of the Saarland, Germany, where she took an engaged and active part in the out-patient clinic dedicated to Multiple Sclerosis (MS) and later at the Neurological Department of the University of Wuerzburg, Germany, where she headed the outpatient department designed to diagnosing and treating Myasthenia Gravis. 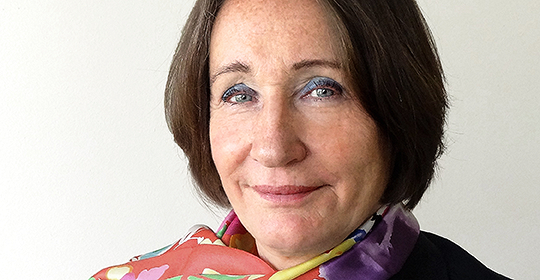 Due to her highly qualified work, Dr. Marquardt became Head of the Department and permanent Assistant Medical Director of the Neurological Clinic at the University Teaching Hospital in Schweinfurt in 1983. During this period (1983 to 1995) she additionally qualified in Psychiatry at Castle Werneck Hospital, specialized in Psychiatry and Psychotherapy. She then pursued her education in Neurological Geriatric Medicine and Neurological Intensive Care which she successfully finished within the given period of three years each. 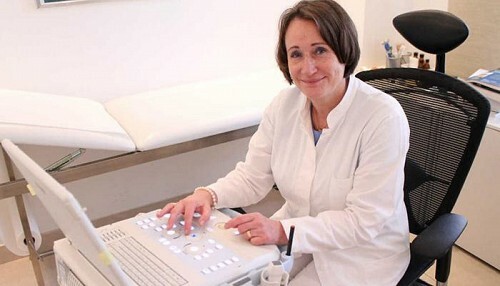 Committed to her work as a doctor, Dr. Marquardt became instructor for Neuro-sonographic investigations with the Association of SHI Physicians, Bayern, Germany. She also acquired her specialization in Acupuncture focused on pain and Psychosomatic Medicine. In 1996 Dr. Marquardt set up her own large private outpatient Clinic for Neurology in Schweinfurt which she was successfully heading till July 2015. Dr. Marquardt has been for almost twenty years Neurological Consultant to the US-Army´s Tricare Insurance System with potentially 40,000 soldiers and their families in the region around Schweinfurt. Dr. Marquardt has longstanding experience in diagnosing and treating any Disorder of Gait and Movement as well as the various forms of headaches and back pain. Due to her broad knowledge and qualification as pain specialist, she is well equipped to deal with all diseases of the nerves and muscles, including Multiple Sclerosis and Parkinson´s Disease, Alzheimer´s disease as well as all other kinds of dementia. She is also skilled in all kinds of psychiatric disorders, especially as concomitant diseases. Beside her commitment to her professional highly qualified and outstanding medical career, Dr. Marquardt also cares for her family with two children who are both grown-ups today. Dr. Marquardt and her whole family always took an intensive interest in foreign countries and people of all nationalities which brought them to travelling the world in their spare time. Thus Dr. Marquardt became acquainted with the UAE and especially Dubai some years ago, liking the city and way of living in Dubai very much which then contributed to her wish of joining the GNC as a specialized doctor. Dr. Jutta Marquardt acquired her Medical License in DHCC in September 2011 and is since 2014 as Medical Director working at the GNC German Neuroscience Center in DHCC, Dubai. 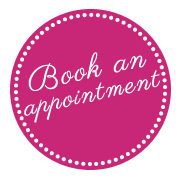 Dr. Jutta Marquardt is a devoted medical doctor and a charming person who takes intensive interest in her patients and their social environment, directed by the aim to achieve the most satisfying medical and personal results for all.